Baba-Nyonya indicates Chinese descendants from the Ming dynasty that settled in Malacca, Indonesia and Singapore during the early 15th century. They came mostly from Fujian Province or the Chao-Shan Area of Guangdong Province, while a small amount of them originated from The Hakkas. Most of them are hybrids of Chinese and Malaya. During Zheng He’s expeditions to the Western Pacific some of the entourages stayed in Malacca when they passed through there. Shortly after they settled, these people married the local Malay or other ethnic women. In Malay, their male offspring is called “baba” and their female offspring is called “Nyonya”. Baba-Nyonya is a particular ethnic group generated at the present age. In today’s Malaysia, if a man is of Malaysian and Chinese decent and they marry a Malay woman, their children are no longer called “Baba” or “Nyonya” but rather “Malay” and he himself must change his name to the Islam one. 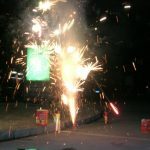 As a combination of Chinese and Malay, Baba Malay has once yielded unusually brilliant results from the mid-19th century to the mid-20th century. Due to a variety of reasons, however, it emerged, became glorious, and finally fell into decay. As early as the 10th century or even earlier, Chinese multiplied descendants in the Strait of Malacca and lived with Malayan, communicating in common language. In the 15th century when Zheng He began his trip, his entourage was proficient in the Malay language which was predominant in the Strait of Malacca at that time. The Sultan of the Malacca Sultanate depended on Chinese interpreter while he was paying tribute to China. 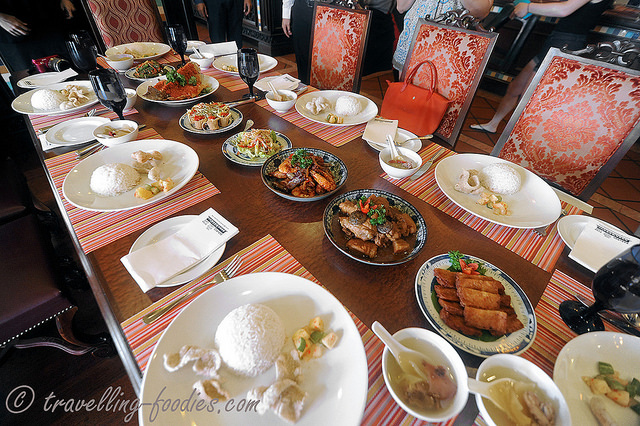 Nyonya food is the beginning for many people to learn about Peranakan. When the internal implication of Chinese cuisine met the enthusiasm of Malay cuisine, a delicious taste that is out of this world was bestowed amongst the people. Nyonya food eventually became the most delicate and special cuisine in Southeast Asia. Worked with a pair of skilled hands, Nyonya fuses the essence of two cuisines, plus the wisdom handed down from generation to generation, has given Nyonya food its own unique and satisfying flavour. 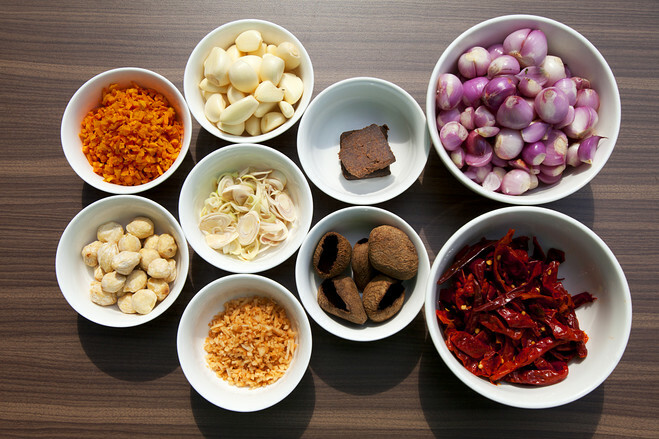 The ingredients of Nyonya cuisine is rather complicated because of the recipe combining Malay spice and Chinese dishes. The Chinese-Malay fusion forms Nyonya food with different tastes, such as rich, sweet and sour, and spicy. 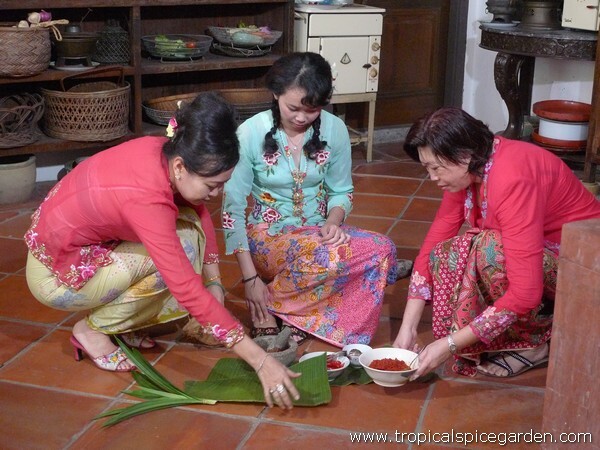 From childhood, Nyonya had to learn the cooking methods of Nyonya food originating from the mothers. Nyonya cuisine is most known for its full and bold tastes. The use of different spices is what they always pay the most attention to. The spices they use include asam skin, curry leaves, belacan, galangal, turmeric, coriander powder, shallot, star anise, cinnamon, chili peppers, buah keras, kalamansi lime, dried shrimps, citronella, black berries and so on. On special festival days, the wealthier Nyonya families usually give a feast at their home and invite their relatives and friends to have a wonderful Nyonya meal. The feast is called “Tok Panjang” which means long table placing of food. To be more specific, “Tok” means “table” in Fujian dialect while “Panjang” means “long” in Malay. 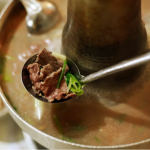 Furthermore, Nyonya cuisine is divided into two parts: the south and the north, according to geographic location. The former location in the region from Malacca to Singapore, influenced by the dietary habits of Indonesia, the neighboring country, coconut milk has become one of the most common cooking ingredients of the southern Nyonya food, so it tends to be sweet. The latter one, on the other hand, includes the northern area of Malacca and Penang. Due to the impact from Thailand, the taste of the northern Nyonya food is rather sour and hot. No matter which flavor it is, Nyonya cuisine is always popular among the people and can be found anywhere in Malaysia. 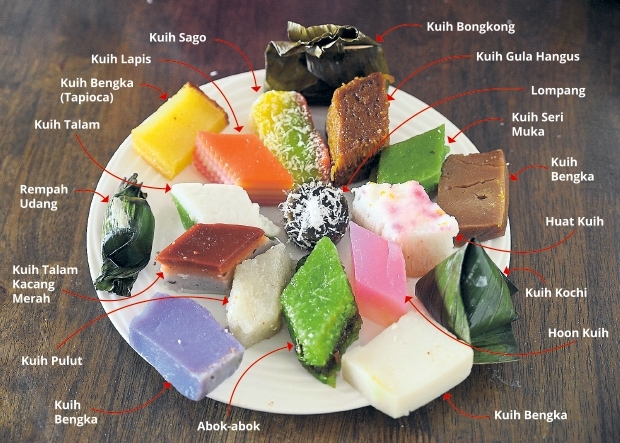 Despite Nyonya dishes, Nyonya Kuih is also world-renowned. Famous for the variety of design and the sweet and rich tasting, it offers you a chance to find a good friend through the enjoyment of eating dessert. The food looks so colorful and attractive that you will end up wanting to try more than one of the flavors. In Malaysia, you can discover Nyonya Kuih easily in many places, like pasar, cafe, Hawker Center, you name it.